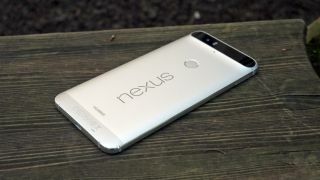 Is this the chip that will power the new Nexus? Qualcomm's Snapdragon 820 processor has powered some of this year's most impressive phones including versions of the Samsung Galaxy S7, Galaxy S7 Edge, LG G5, HTC 10 and the Sony Xperia X – but there's more power to come from Qualcomm before the year is out. Qualcomm has announced its new Snapdragon 821 chipset, which will arrive in the second half of 2016 - and may power Google's new Nexus phone. It's the follow-up to the Snapdragon 820 allowing for a 10% performance increase with the Kyro quad-core CPU reaching speeds of 2.4GHz. The Snapdragon 821 won't replace the 820 but instead will sit alongside it to offer another option for phone manufacturers. Qualcomm wrote: "We're excited to tell you more about just how the Snapdragon 821 will help set a new bar for smartphones, tablets, mobile VR head mounted displays and other new devices." That may mean there are other upgrades in the Snapdragon 821 to hear about soon, but right now it's looking quite similar to the 820 processor we know and love. Expect this processor to maybe turn up in the rumored Galaxy Note 7, new Nexus devices and any other Android phone releases we see later in the year. Don't be too gutted if you don't get the new processor though - the Snapdragon 820 is still a might impressive chip.